The view from Louisiana Museum of Modern Art. Photo courtesy of Louisiana Museum of Modern Art. 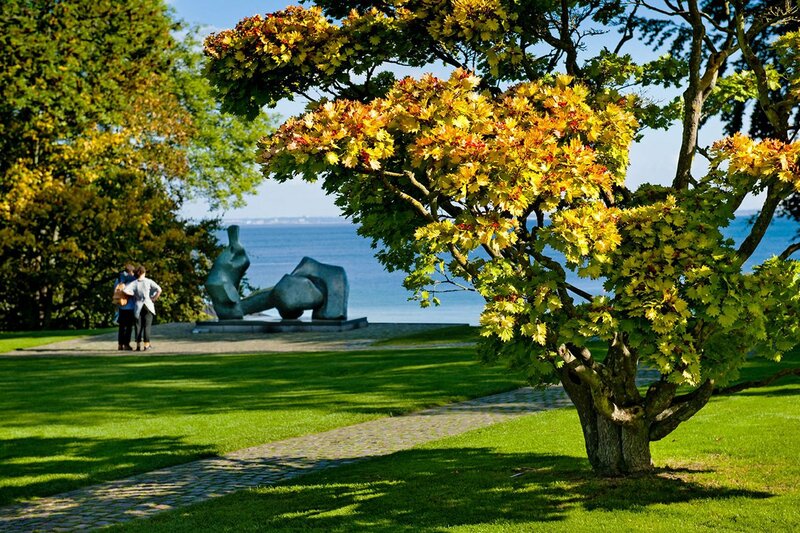 You can find fresh seafood, charming seaside towns, and an ancient castle in the Danish Riviera – just an hour north of Copenhagen. NORTH SEALAND, Denmark - Copenhagen gets a lot of press. And rightly so. When I visited a few summers ago, it was everything it was hyped to be, with achingly cool restaurants, historic architecture, and a bike culture to welcome even the most nervous of cyclists. But when the opportunity came up to spend another weekend in and around the city through my husband's work, my itchy feet got me thinking about wandering further afield. After some research, I discovered the area of North Sealand, a series of charming seaside towns and beaches and a newly renovated spa hotel overlooking Hamlet's castle touted as the Danish Riviera. Reachable in less than an hour from Copenhagen. I was sold. Checking into on a Friday afternoon was confusing at first. It felt partly like a business hotel and partly like a vacation destination. I learned that it was undergoing a renovation, which explains its seeming identity crisis. We stayed in one of the newly renovated rooms with a glorious view over the Øresund Strait, where hardier holiday-makers braved a dip in the sea. After a good night's sleep, we were tempted by the spa offering of an early morning saunagus ritual, a combination of time spent in the beachside sauna followed by early morning sun. But we are wusses who like to sleep in. 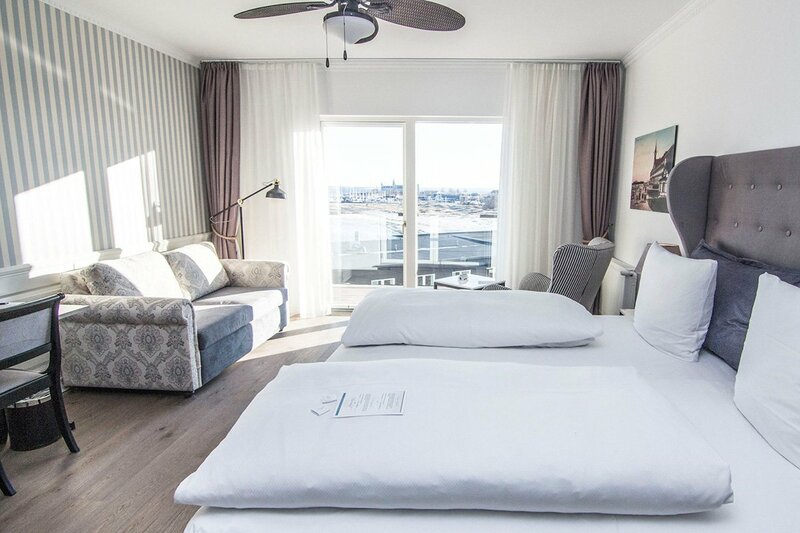 Photo courtesy of Hotel Marienlyst. 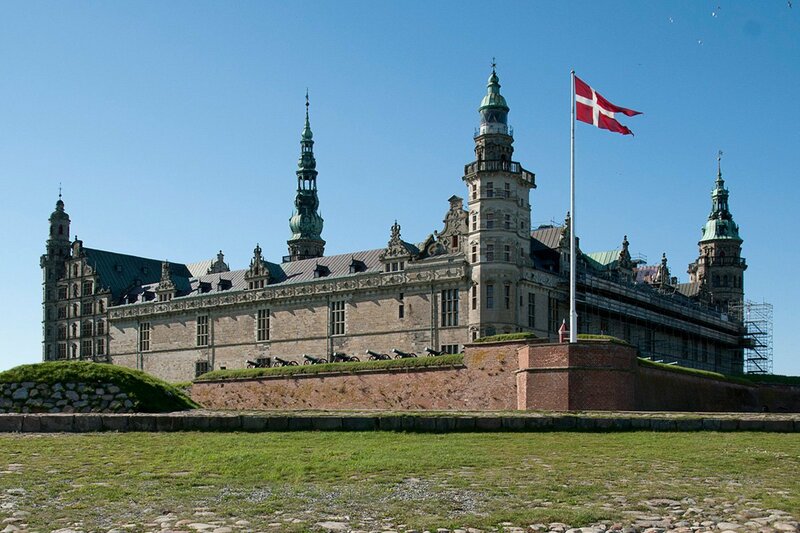 Photo courtesy of Kronborg Castle. But there is too much to do in North Sealand to only lie around admiring the view, especially on an unexpectedly glorious spring day. So we borrowed two of the hotel's bicycles and headed north along the coast, stopping in Hellebaek for refreshments at the quaint , an old rifle factory nestled in woodlands by a small lake. Slightly further along the coast is the seaside town of Hornbæk, where we stopped for a smorgasbord lunch at the quintessentially Danish before exploring one of the several shops owned by designer , a native of Hornbæk. She's known for her stylish raincoats and gumboots, which make for especially chic souvenirs. After lunch, we headed to the glorious , a stunning architectural feat among beautiful gardens overlooking the water. It attracts big name exhibitions — we caught a Picasso pottery show while we there — but also boasts equally impressive permanent pieces, from a psychedelic Yayoi Kusama to awe-inspiring Giacomettis. It also has one hell of a gift shop with seriously stylish home furnishings that make you want to throw out everything you own and redecorate. Close by and also overlooking the sea is . Run by the same team behind the Michelin-starred in Copenhagen, it is a foodie's heaven with a menu of (not so small) small plates where everything, from halibut ceviche with grilled lemon, green tomatoes, and sorrel to braised lamb with grilled leek, citrus, and dried olives, was bang-on in taste and presentation. If I had to choose a highlight, it would be the seabuckthorn en surprise — seabuckthorn (a fruit that grows by the coast) sorbet surrounded by vanilla cream surrounded by exquisitely piped meringue. A perfect end to a pretty perfect day. 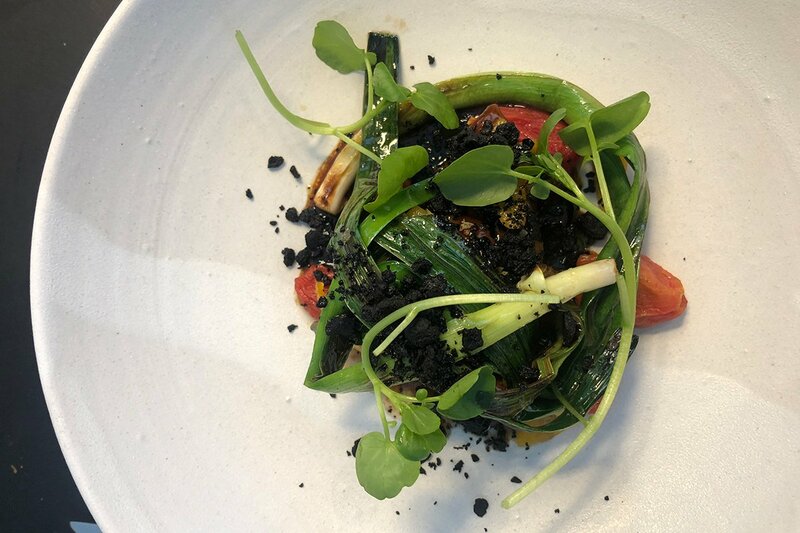 Restaurant Sletten. Photo by Abigail Radnor. 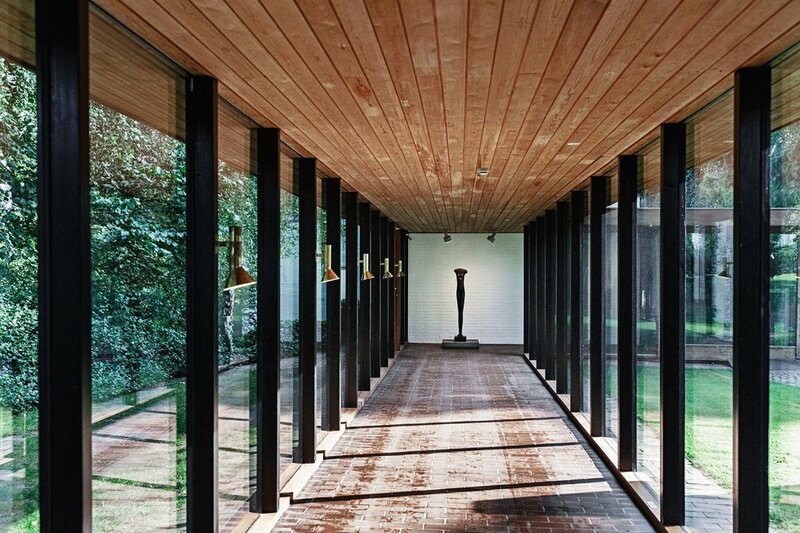 Photo courtesy of Louisiana Museum of Modern Art. Before setting out to explore on our second and final day, we revived ourselves in the hotel's new spa. It was a shame we did not have enough time to try a treatment, but it was lovely to relax by the indoor pool flooded with natural light from multi-floor windows. If we were slightly braver, we would have tried one of the outdoor heated hot tubs overlooking the beach, but, you know, the wuss thing again. And so to the historic city of Elsinore, a short walk from the hotel bursting with cultural hotspots. The big draw is , one of the most famous Danish castles thanks to good ol' Bill Shakespeare setting his little known play Hamlet in the former royal residence. It's fun to explore, with rooms set up with historically accurate interiors — the sort of thing a history geek like me loves. It also has a fun gift shop, selling cuddly flails (you know, the medieval weapon with spikes), which is quite possibly the least likely kid's toy I've ever seen. Photo courtesy of M/S Maritime Museum of Denmark. Photo courtesy of Værftets Madmarked Street Food. But Elsinore is not all about the castle. The harborfront city also celebrates its maritime history in the architecturally astounding . 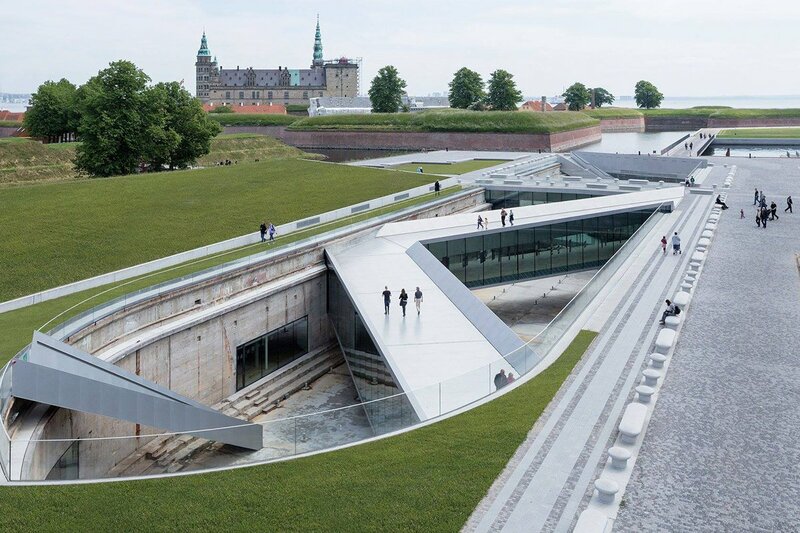 Even if you don't think you're that into maritime history, it is worth visiting this place just to witness the mind-boggling design, zigzagging across an old dry dock. Lunch was our final stop before heading to the airport. (FYI, it is easy to get around on the trains in this part of the world, but if you are pushed for time, like we were, it is worth hiring a car so you can pack more sightseeing in.) 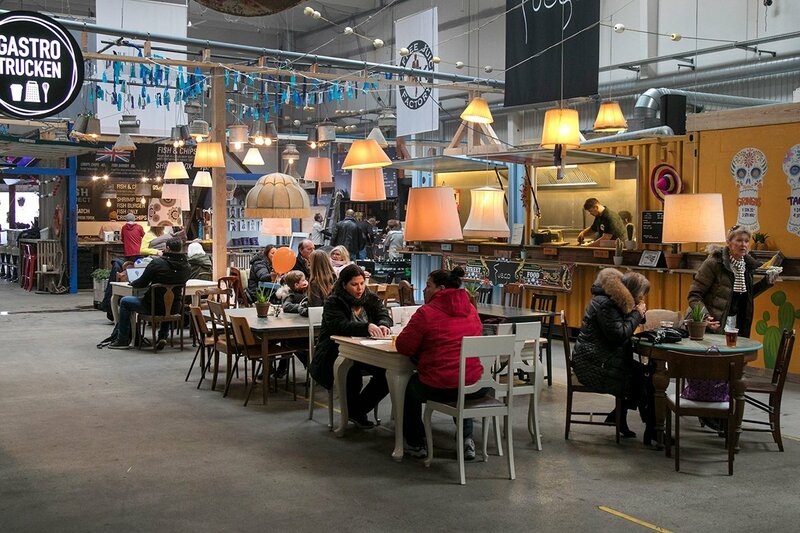 , the new food market situation in an old warehouse on the docks, is a fun place to stop for a selection of different cuisines. Having just immersed ourselves in seaside culture all weekend, it felt only right to order the fish burger — fresh, delicious, and roughly the same size as my head. Fully satiated, I slipped into a contented little snooze on the way back to the airport, reflecting on my ideal Scandi mini-break. Are the Faroe Islands the Next Iceland? is the features editor of Guardian Weekend. You can follow her @abigailradnor on and . She travels for the mental reset. And for the people watching at cocktail hour.